When Canadians volunteer, everyone benefits. That is the magic of volunteering; it creates value for all! 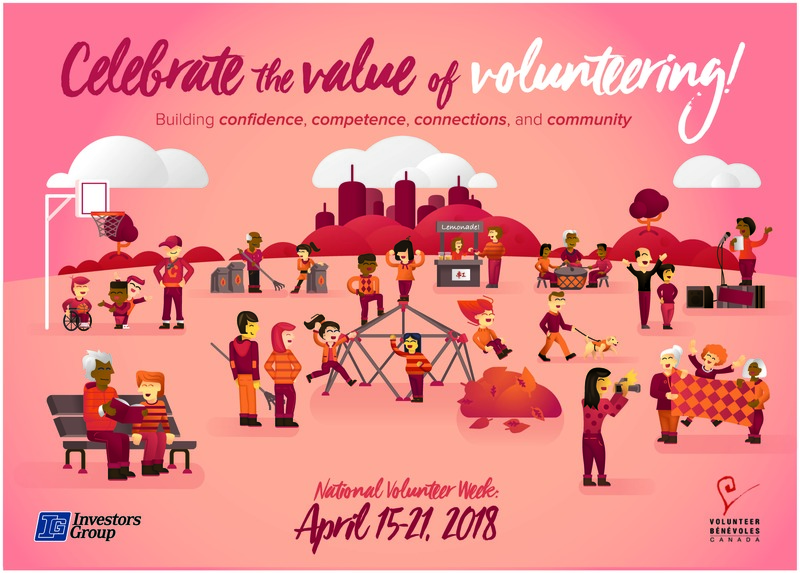 Join us National Volunteer Week, April 15-21, 2018 to say thanks to Canada’s 12.7 million volunteers who build confidence, competence, connections and community all year round!